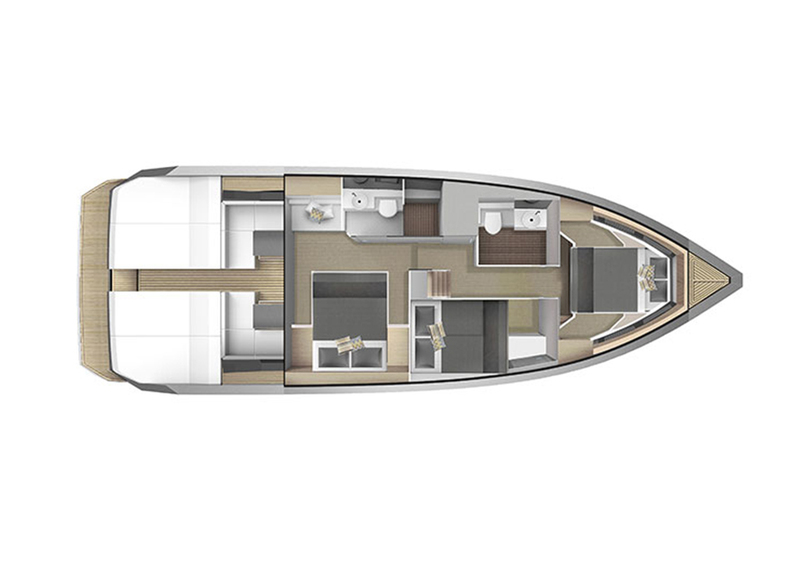 The D33 is fast and maneuverable, made for owners who are seeking a high power luxury yacht with contemporary design and exquisite finishes. 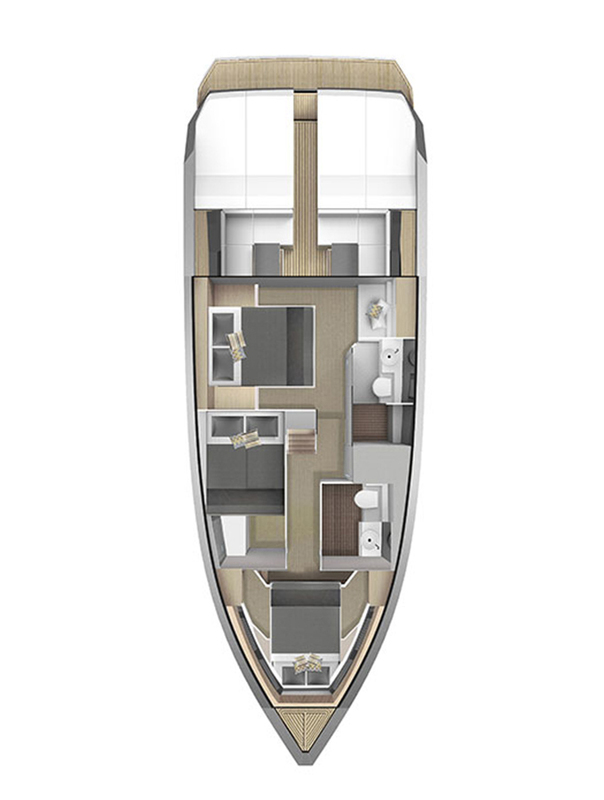 Designed with enjoyment in mind, the D33 features a unique convertible deck and stylish comfortable interior. 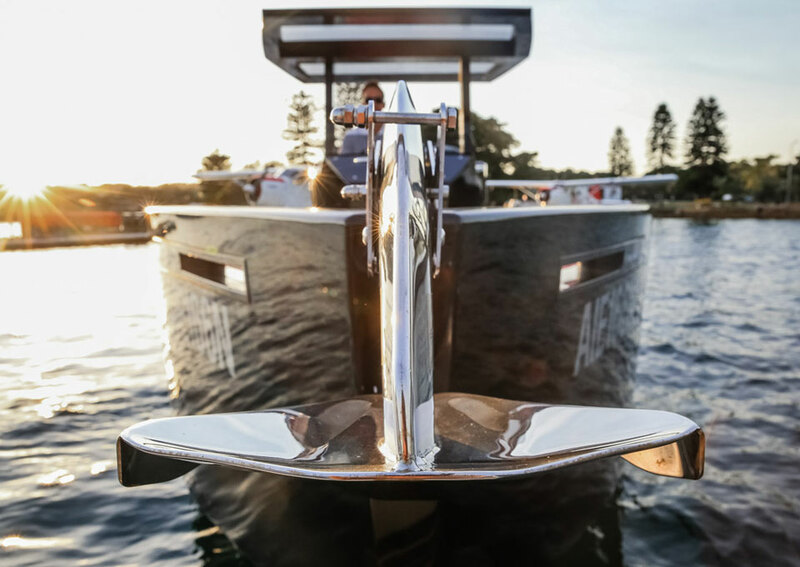 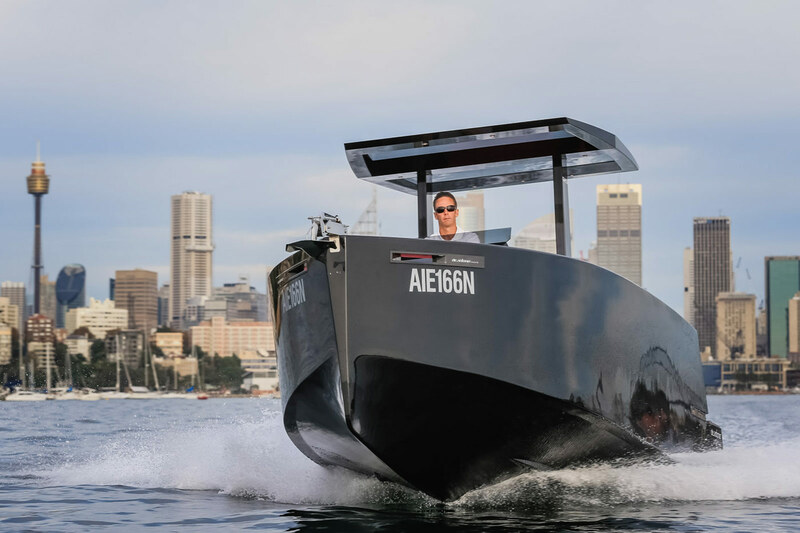 Two hidden outboard engines maintain the streamlined aesthetic while providing a pleasant and silent ride that doesn’t interfere with performance. 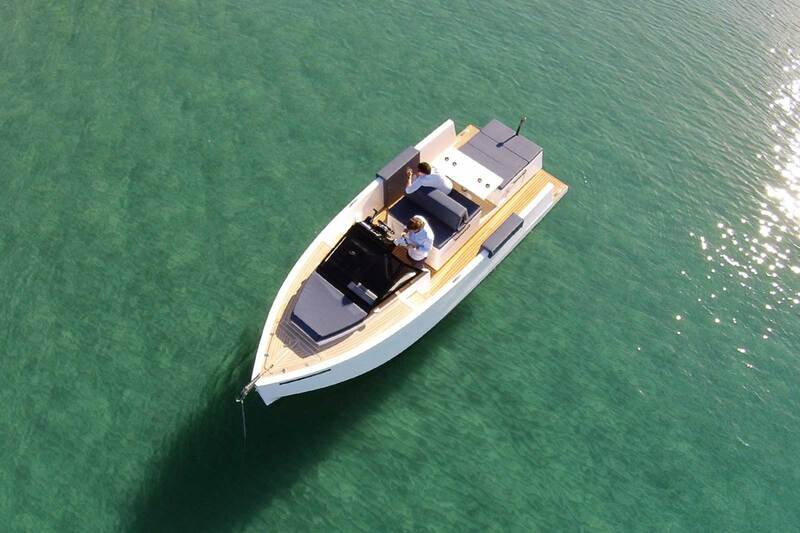 Your boat, your way. 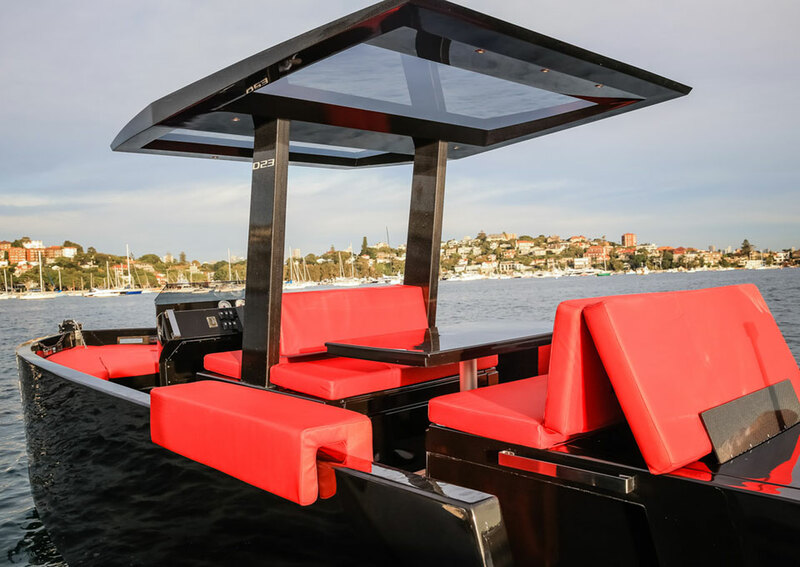 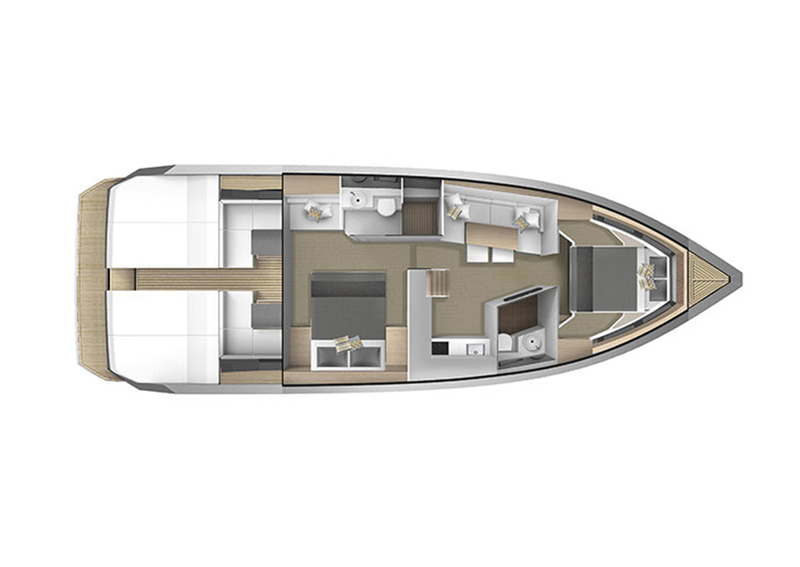 Customise the engine, seating arrangement, hull and upholstery colours to suit you. 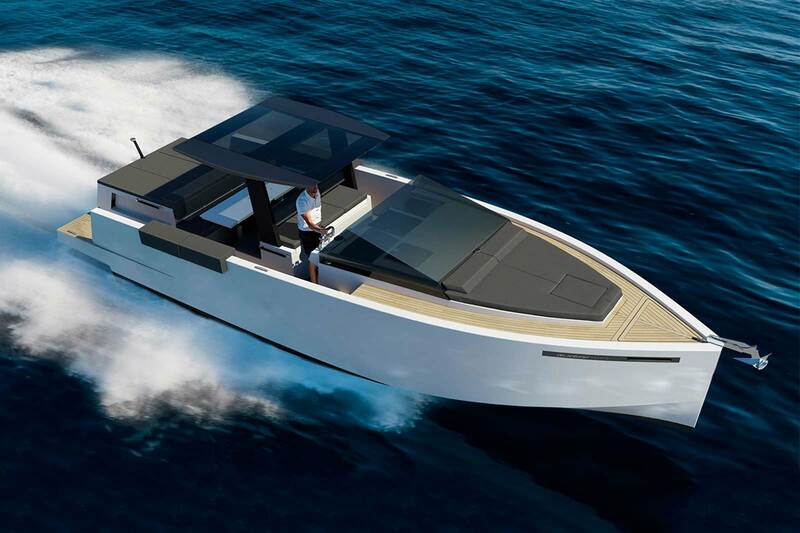 2 x Suzuki 200 HP (4 s.) outboard eng. 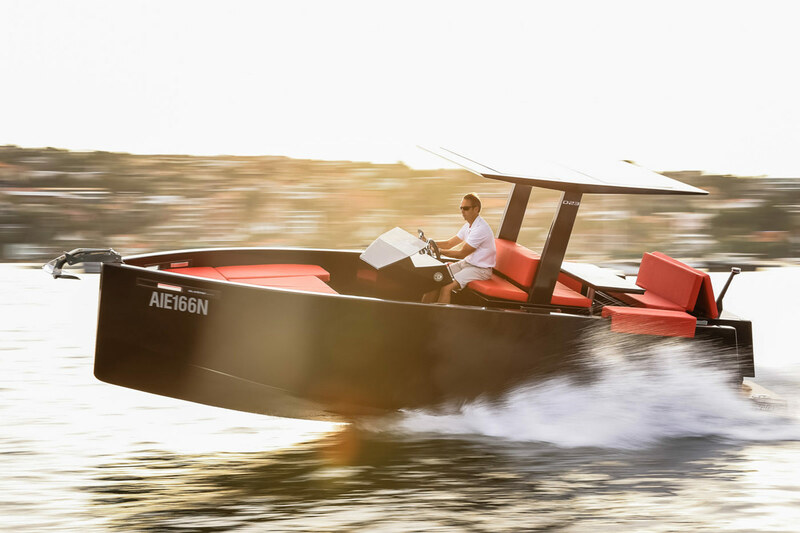 2 x Suzuki 250 HP (4 t.) outboard eng. 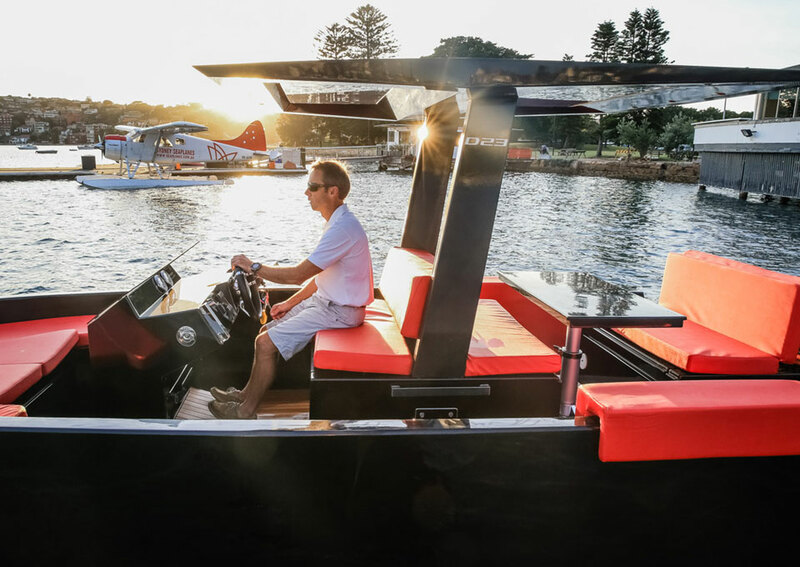 2 x Suzuki 300 HP (4 t.) outboard eng. 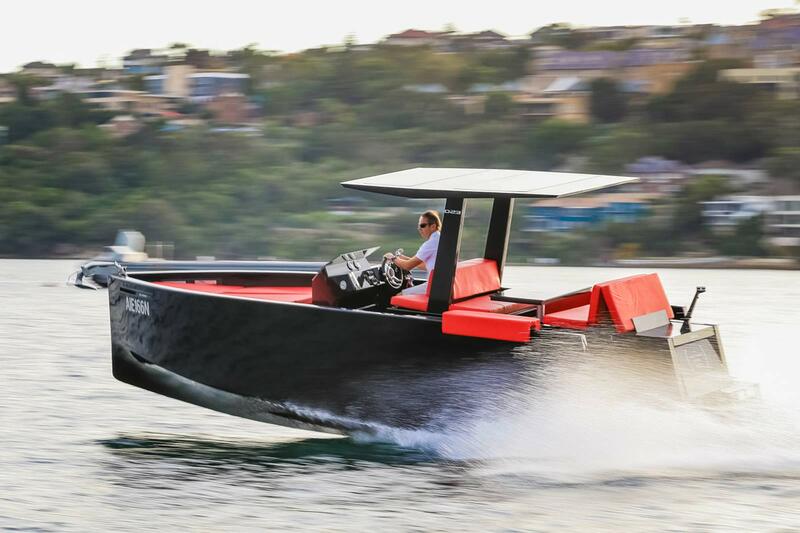 2 x Evinrude 250 HP (2 t.) outboard eng. 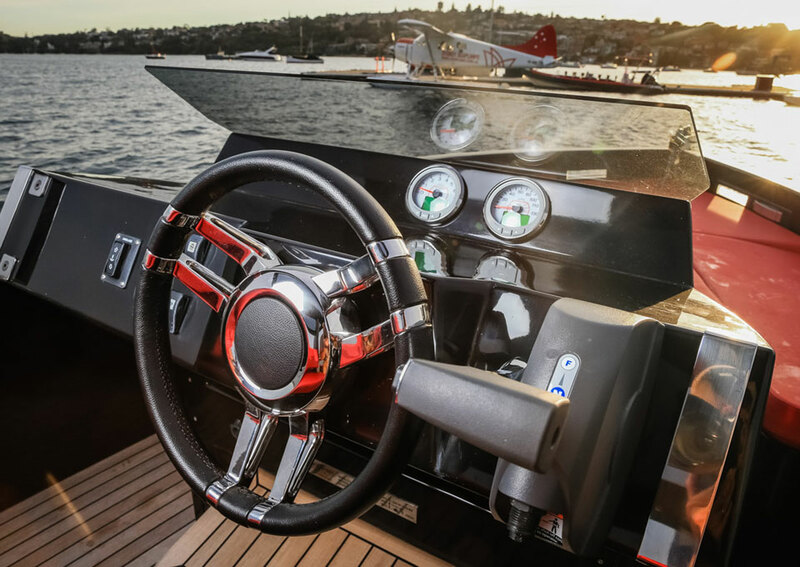 2 x Evinrude 300 HP (2 t.) outboard eng. 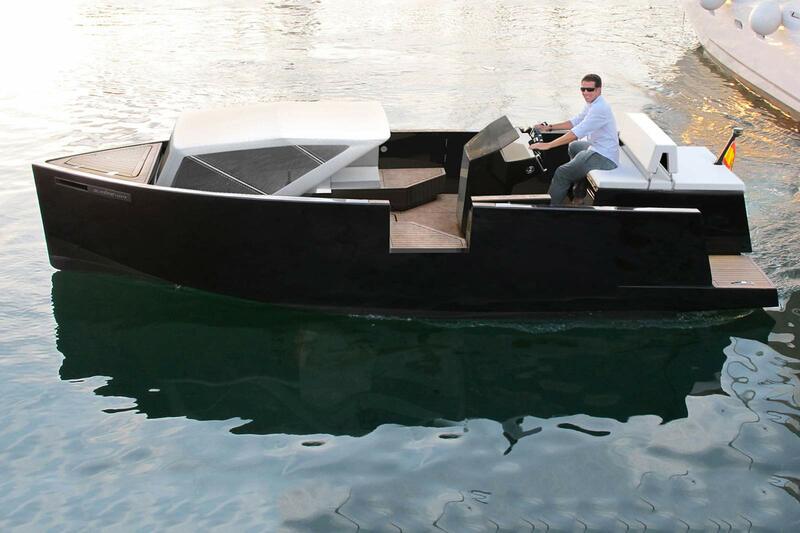 2 x Yamaha 250 HP (2 t.) outboard eng. 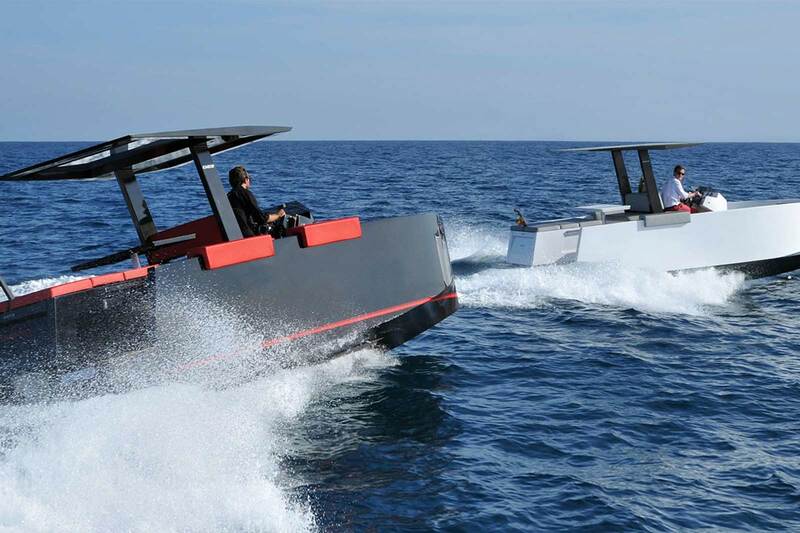 2 x Yamaha 300 HP (2 t.) outboard eng. 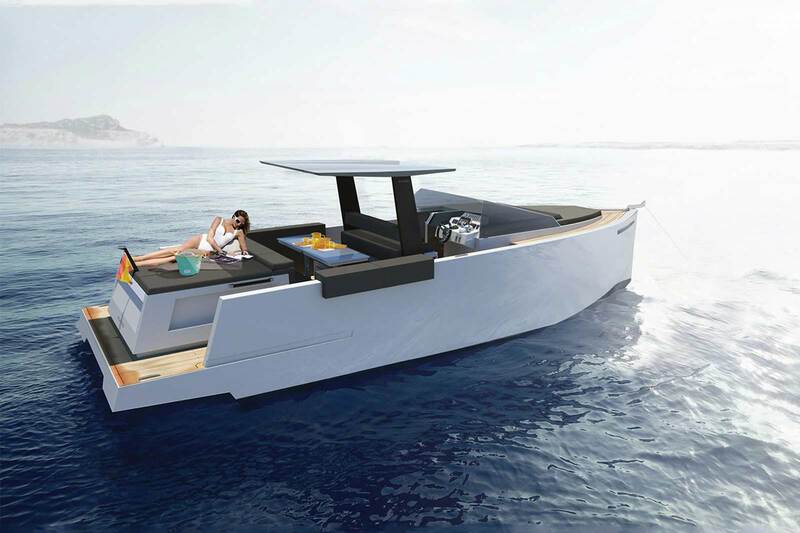 2 x Yamaha 350 HP (2 t.) outboard eng. 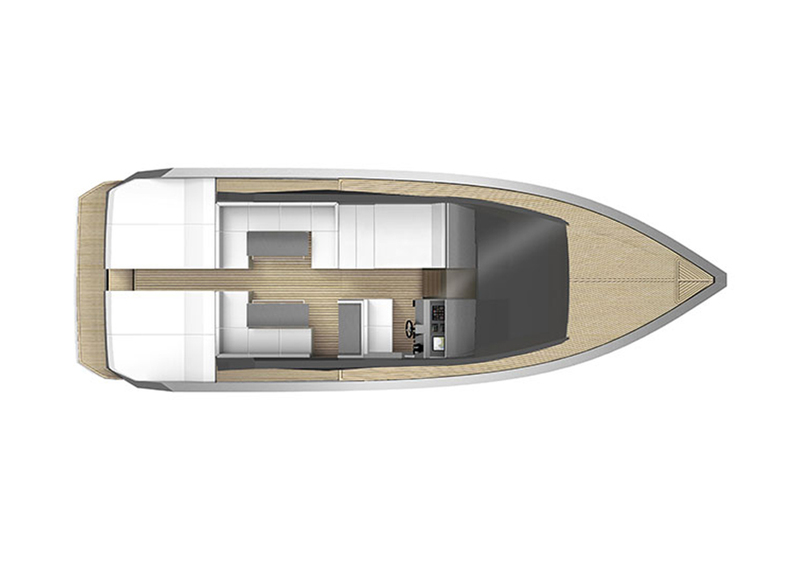 High performance meets ultimate luxury and unrivalled space. 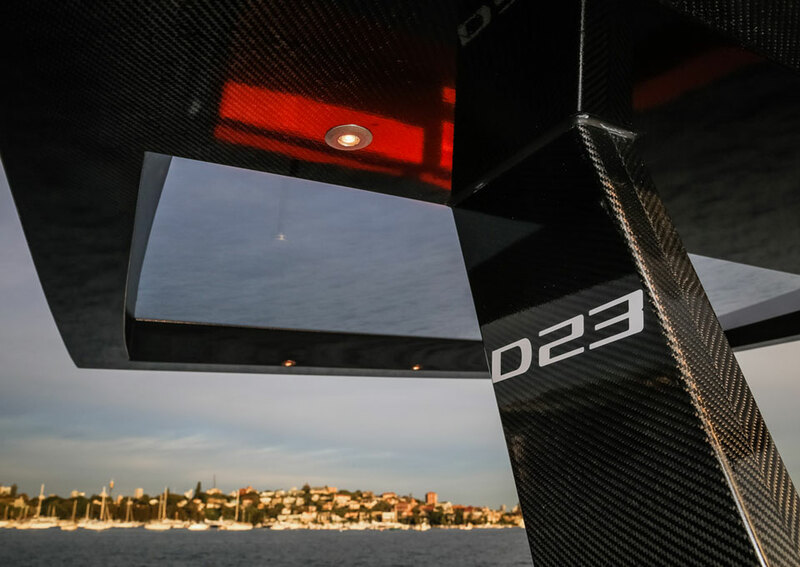 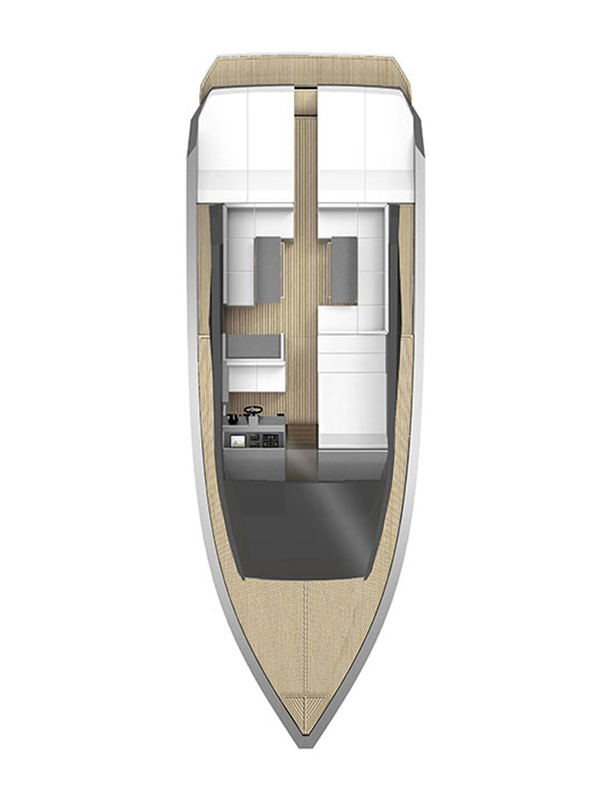 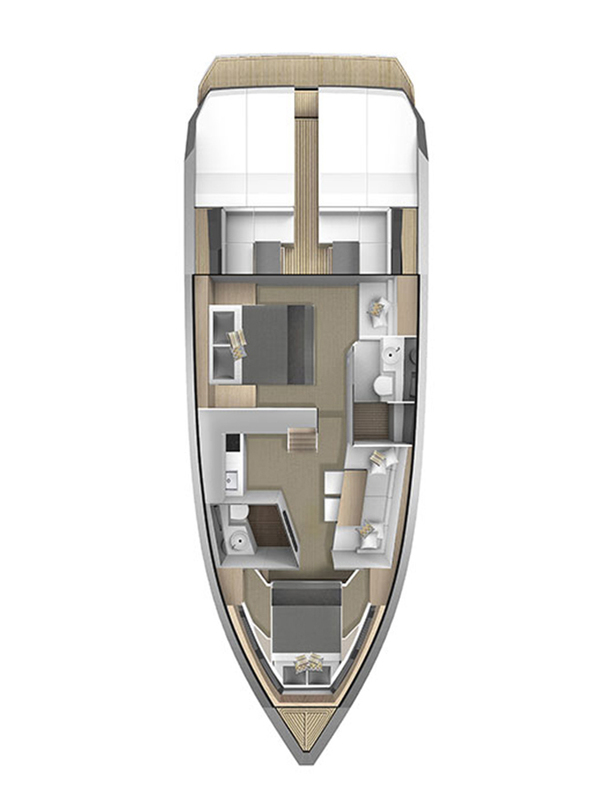 With a slim contemporary aesthetic, the D43 offers unrivalled wide space on deck and luxury configurable living below. 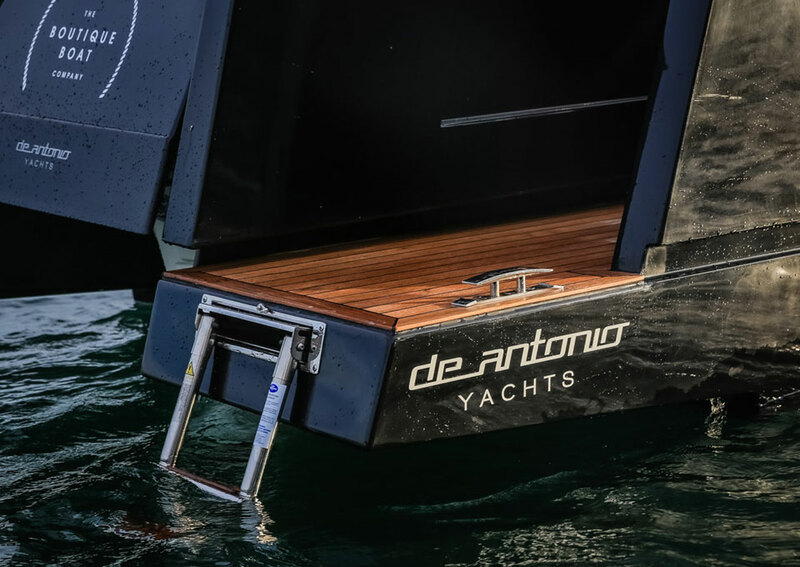 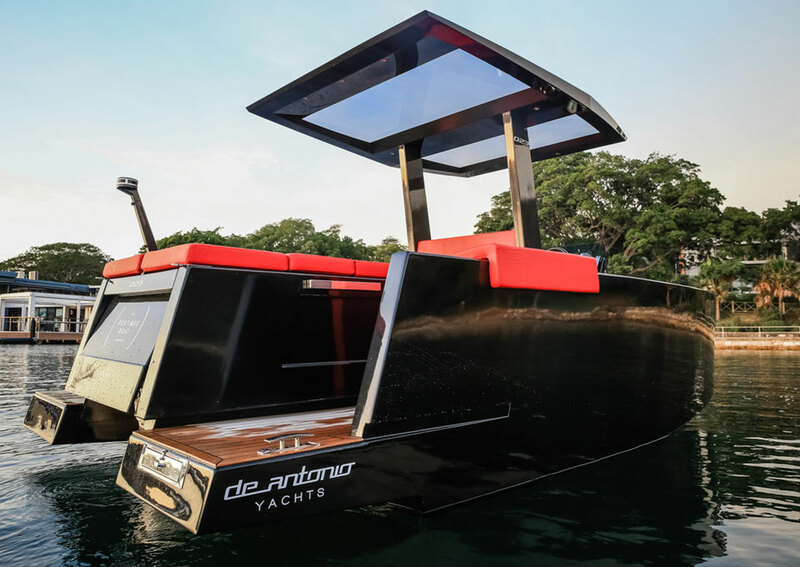 A testament to the unique and truly livable De Antonio design, this modern yacht features exquisite details, advanced technology and high powered yet quiet hidden engines. 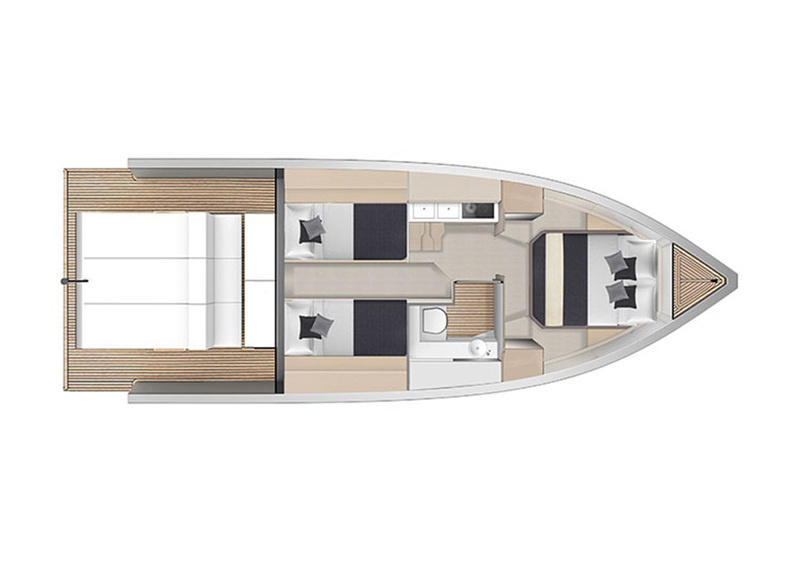 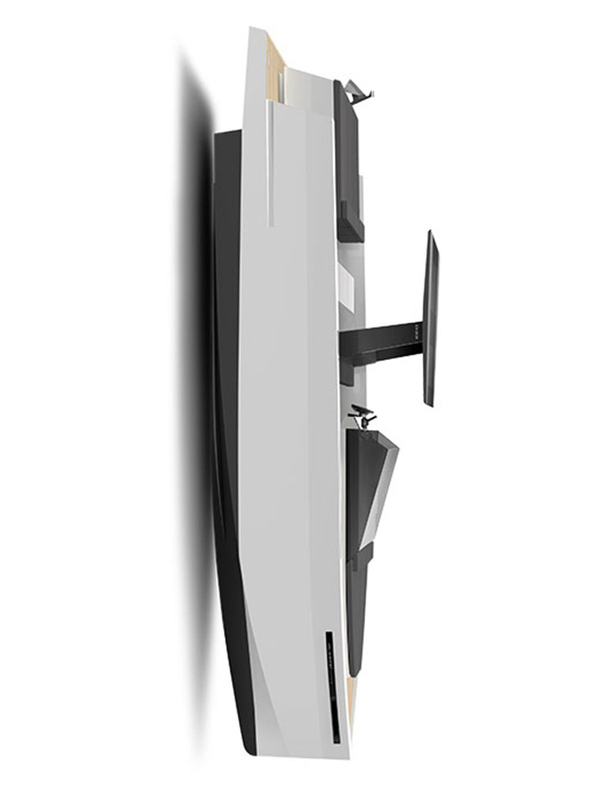 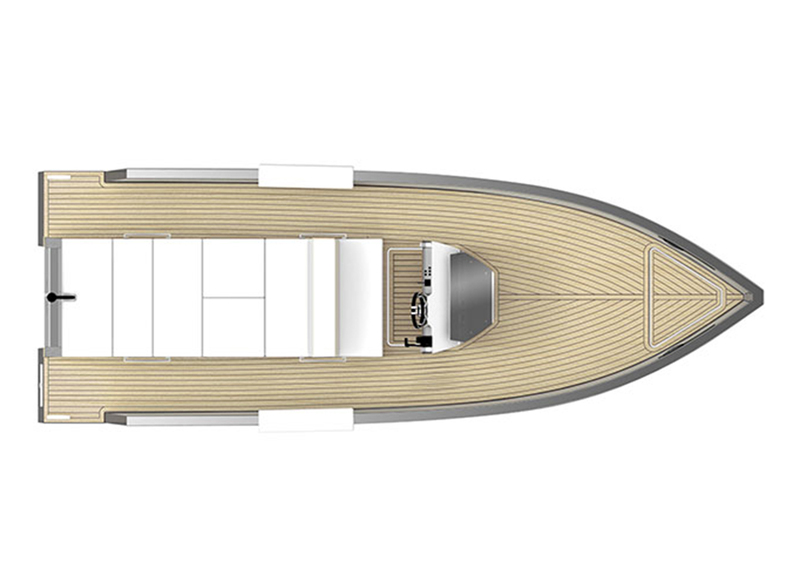 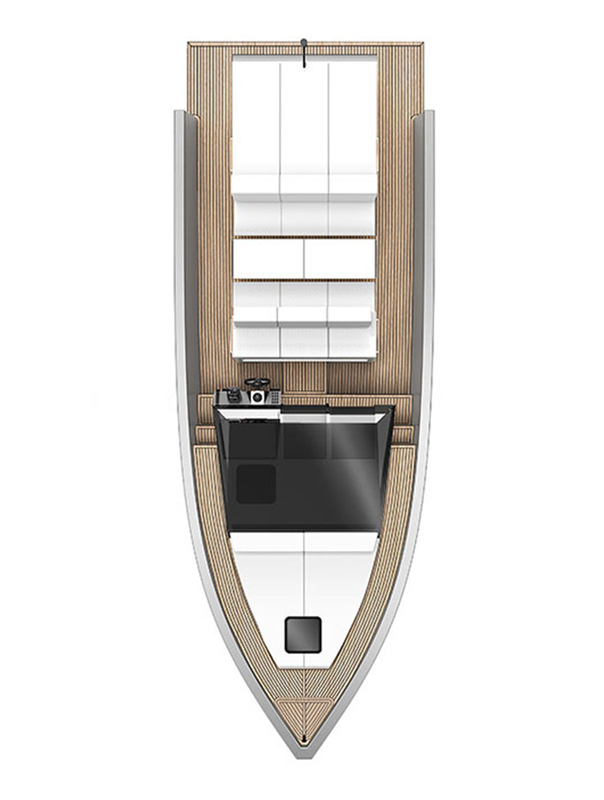 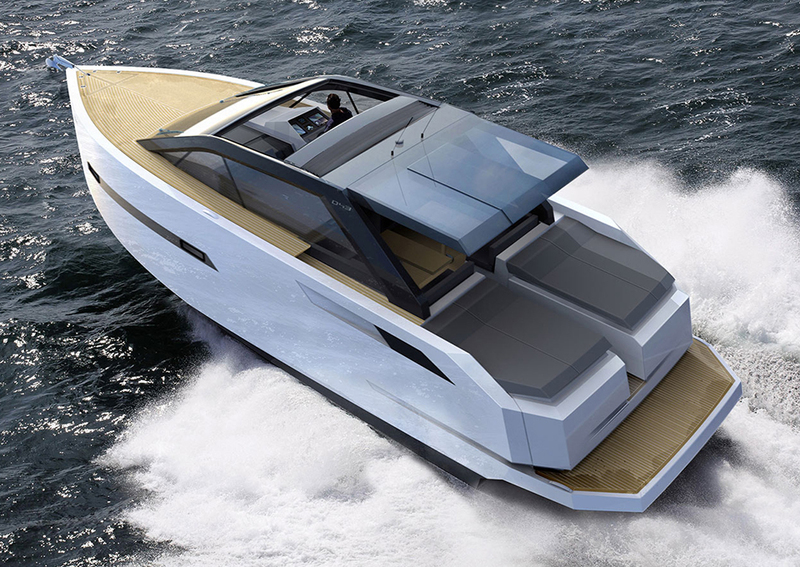 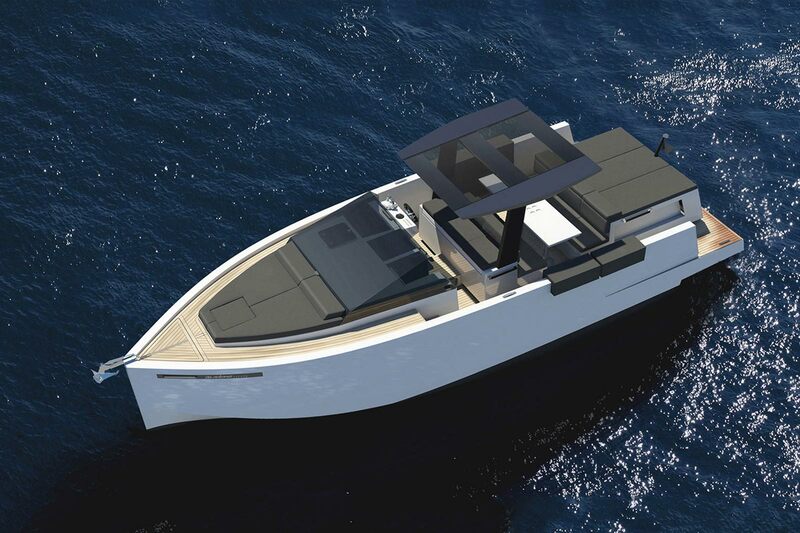 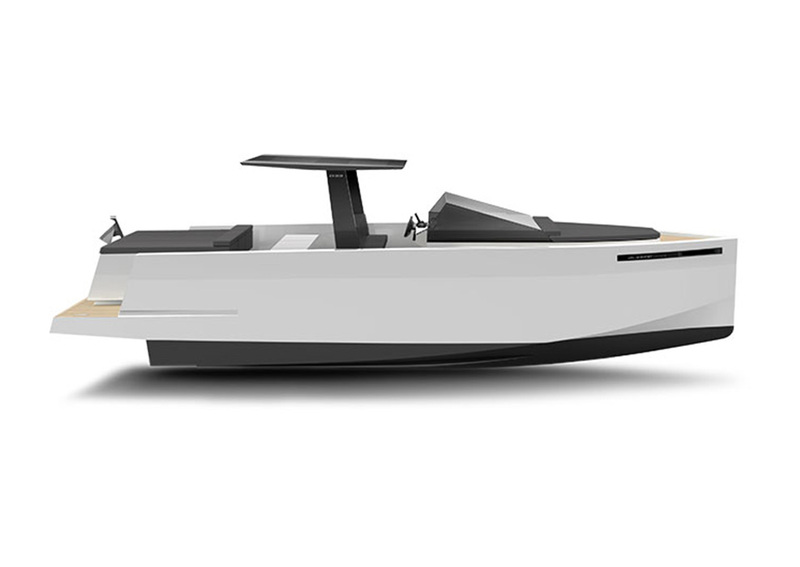 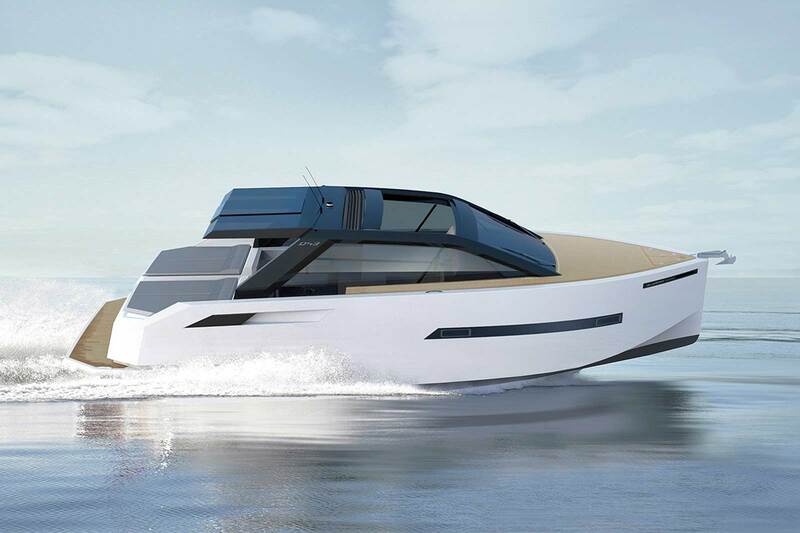 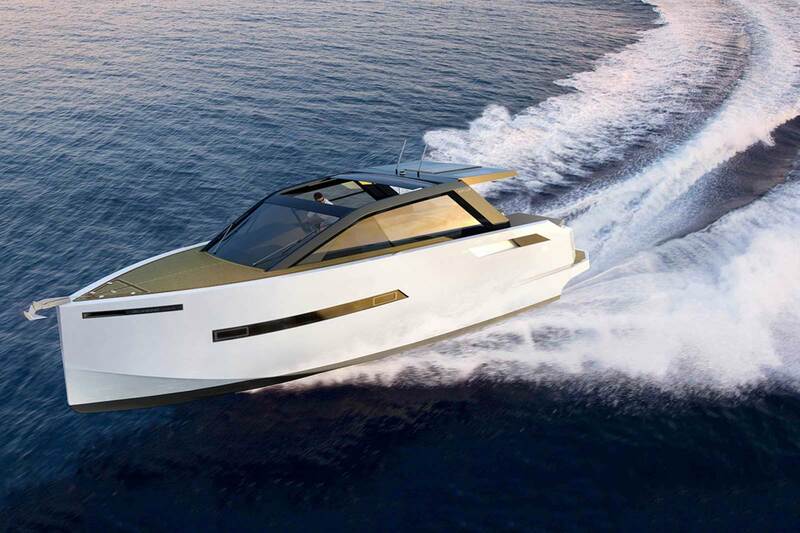 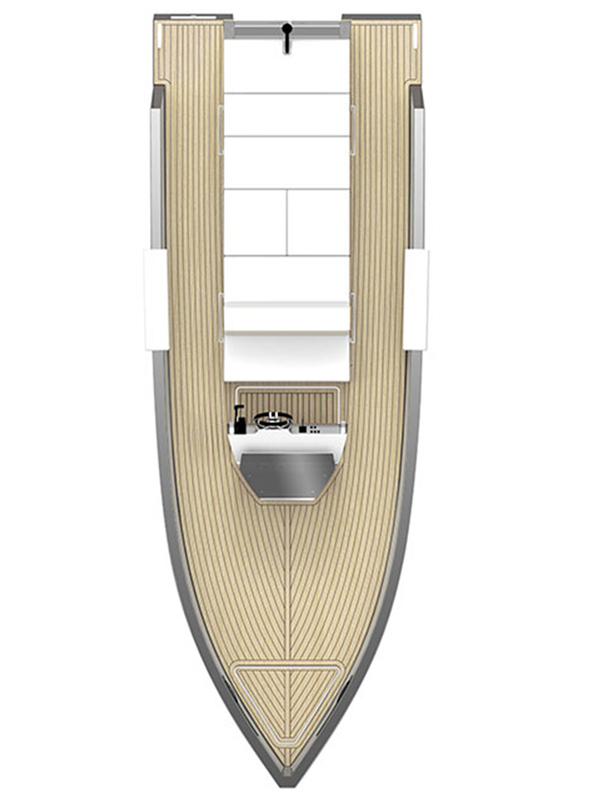 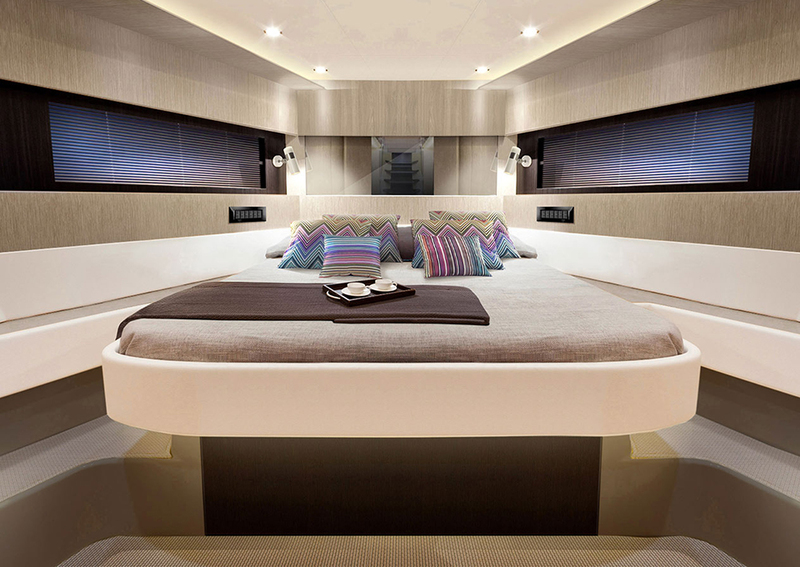 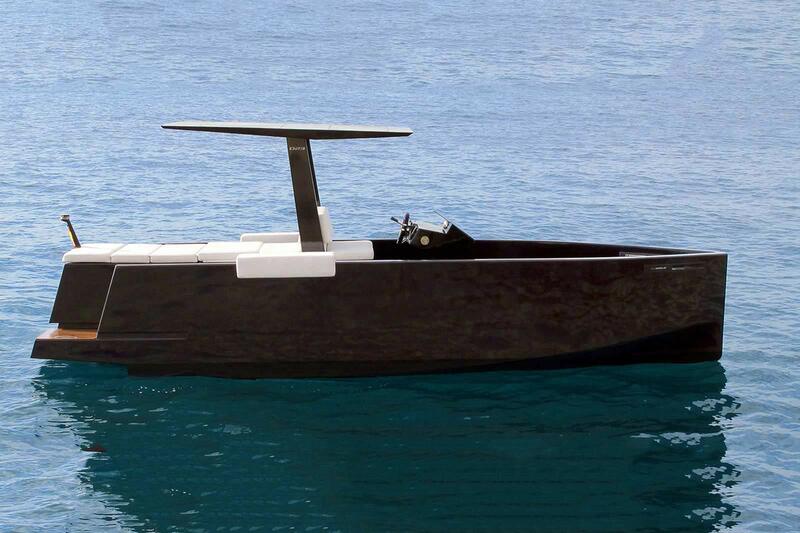 A testament to sleek minimalist design the boutique D23 is a groundbreaking addition to the ‘mini yacht’ category. 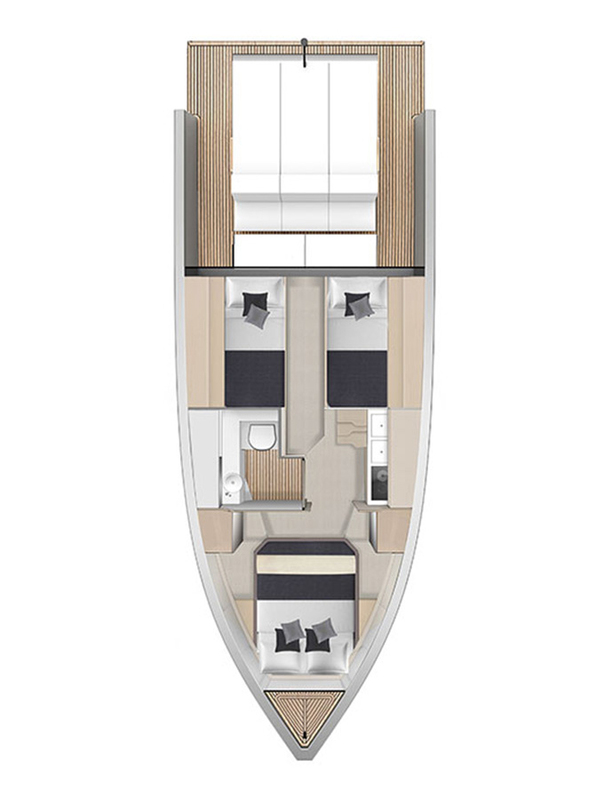 An intuitive layout, adaptable aft area and stunning teak deck make the D23 the perfect yacht to enjoy your life on the water. 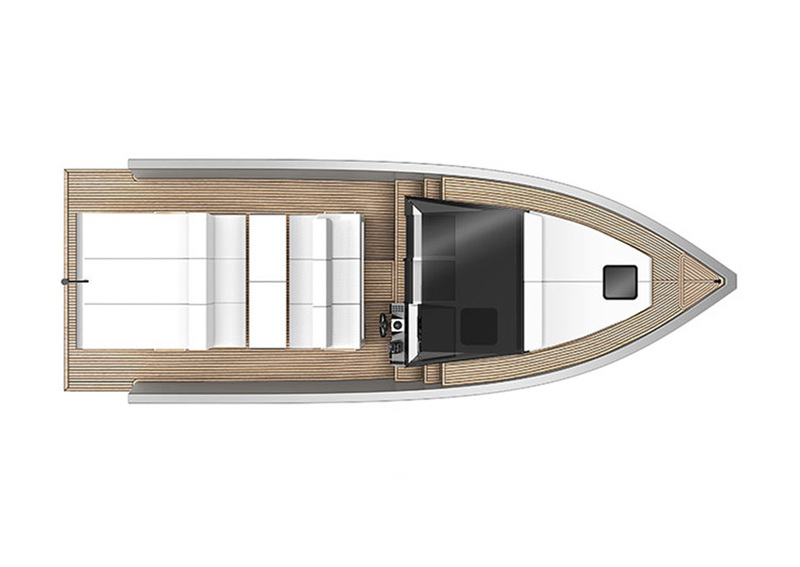 A hidden outboard engine adds to the streamlined aesthetic and provides a pleasant and silent ride without interfering with the performance.